The sent with love card explains that prior to receiving the jewelry, each piece has been cleaned and sanitized, had its authenticity guaranteed, as well as some other info about the subscription. Minor wear and tear are covered as well! I loved the vintage necklace and was so excited to borrow it. The pendant is a quilted gold-tone purse with a black CC logo, hung on a custom gold tone chain with a black Czechoslovakian crystal. It features a square toggle clasp and measures 27” in length – so perfect for the gold long necklace trend this season. This was a fun necklace to borrow mainly because as such a statement piece, it’s something that folks will remember. 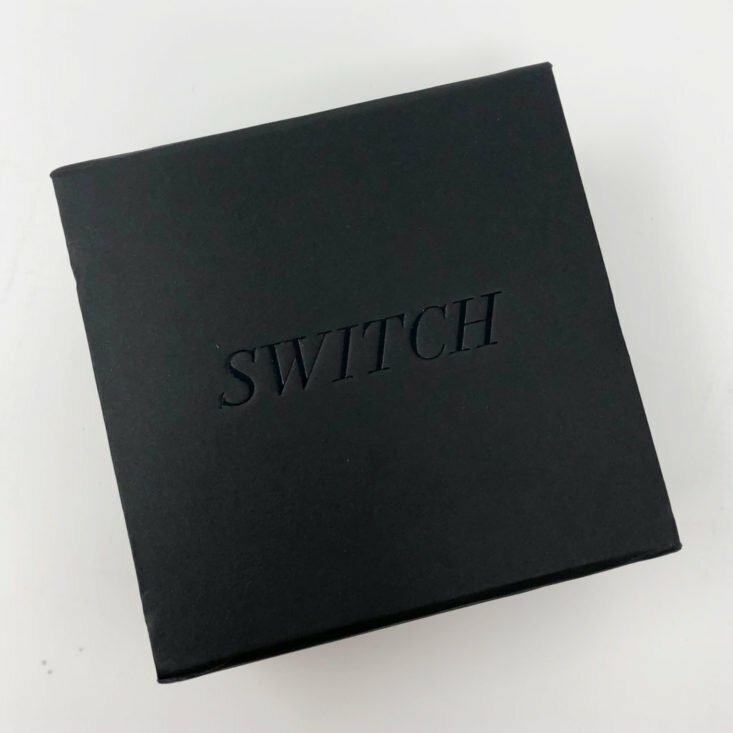 It’s fun, but probably not an everyday piece – so great to get in a service like Switch! This silver-tone CC logo and open heart pendant feature adorable details, like additional CC logos, etched into the perimeter of the heart. It has a spring ring clasp closure and measures 16.5″ in length, perfect to wear with a V-neck shirt. It’s listed as from the 2004 spring collection. The Verdict: I would be hard-pressed to ever have a bad feeling about a sub that lets me borrow essentially unlimited amounts (you can switch your pieces at any time, and have 3 pieces out for $69/month) of this type of jewelry from luxury brands. The only critical piece that I can say is that there are some pieces I’ve seen on the site that I’d love to try, but are always out as borrowed. And I wish they had more Chanel earrings that weren’t clip-on styles. These are very much first world problems though – and there are always a ton of great pieces to choose from! In this shipment, I tried out $1,830 of jewelry for $69 – which is about 3.8% of their retail value. That’s a solid deal right there! The member price for all 3 of these pieces is $1,335.00 in total. At retail, they’d cost $1,830.00. Members get $10.00 to put towards a piece, so that’s $1,325.00 to buy everything, which is around a 28% discount. I am not buying anything this month, but if I were (and money didn’t matter!) – it would be the Hermes Bracelet. It looks cute on you but the value isn’t there. Gold tone and silver tone stuff isn’t worth this much. You can get real gold from small designers in unique styles for less. If the brand names were that important to me I’d just go to an outlet mall. Thank you for reviewing. Absolutely agree! Hundreds of dollars for gold tone and silver tone? I do understand that some folks are into branding, but still. For the same $69, I’d go with My Meraki – unique pieces, and sterling silver, which you can keep! Yes, as my brother in law always says “silver is an element, tiffany’s silver can’t be that much better” – so it’s a label thing, for sure – but I admit I felt pretty cool wearing this stuff around town! Oooo the bangle would be soooo hard to return. It is really cute. Love,love.love all the pieces you chose. Favorite piece is the Chanel vintage purse necklace💗.